We saw this boat at Lymington. It's not something I'd buy, but then I did buy Lady Jane! This millionaires lifestyle is hard, but someone has to do it! 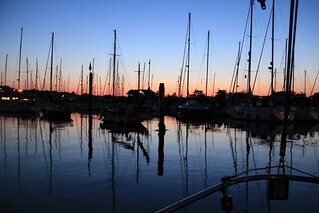 Here Andy, Patch and I watch the sunset over Lymington, while sitting out on Arctic Rose's back deck enjoying the lovely warm weather and a glass or two of bubbly. We will definitely come back to explore more before too long. 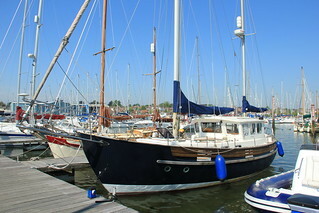 Here you see Arctic Rose nestled in at one of the big marinas in Lymington. After an initial, somewhat undignified, attempt with the sails in Southampton water, we sailed down the western Solent in a good strong breeze, with the main, headsail and mizzen up. 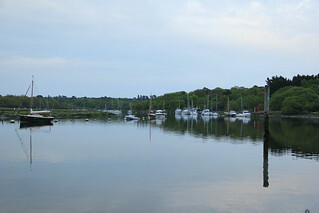 The wind was getting progressively stronger until I got to the stage where I could not steer Arctic Rose that well, so we dropped the main and carried on sailing pretty much all the way to Lymington. I've learned that I need to get somewhat more proficient with the sails before attempting to tack Arctic Rose down Southampton water. I now understand so much better why I've always seen so many sail boats motoring about the place, instead of sailing everywhere. I'm sure that once I've worked things out, and have a system that works for us, we will sail more and motor less. It's not all plain sailing on board Arctic Rose for me. I still have masses to learn. Having only skippered the RIB before, and with no real experience in sail boats, the prospect of actually sailing Arctic Rose passably well, as opposed to just motoring about, is still part of the current learning curve. Looking up at the myriad of wires and ropes and things, I find myself somewhat daunted. Travelling back from Beaulieu, I tried with just the mizzen and furling headsail. Mimicking what we had done with John previously. I can't say that I was completely happy with the result, with the sails looking somewhat saggy, but it's a start. 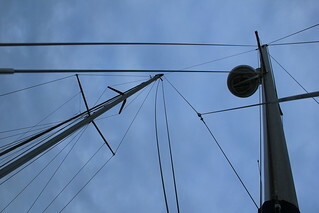 I subsequently worked out how to pull that mizzen up tight, I think. Hopefully this weekend will provide an opportunity to get the mainsail up, now that I've spent some time pondering the function of the various ropes and attachments under the sail cover. 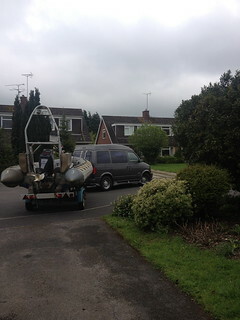 I'm not sure I'd have the heart to, effectively, start again with another boat as Tim seems to do routinely. Here you see the tranquility we enjoyed up Beaulieau river last Saturday, once things had settled down for the evening. It was particularly satisfying for Patch and I, as this was our first ever actual cruise together in Arctic Rose with nobody on hand to give help and advice. All went exceedingly well, both going out and coming back to Southampton. To be completely clear here, we could not have done this so easily without all the help we have previously had from skipper John (and others), and with the added confidence of my recently completed RYA day skippers course. I've always loved this time of day on the water, and find it a real treat to finally enjoy it in different surroundings, but cosseted with all the comforts of home. This massive change from the old lifestyle on Lady Jane to the new adventures possible with Arctic Rose is finally starting to set in. A big part of this is the acceptance that all the old Lady Jane stuff that I have stashed in various places has to go. Except for some of the tools, none of it has any place on such a beautiful yacht anyway. 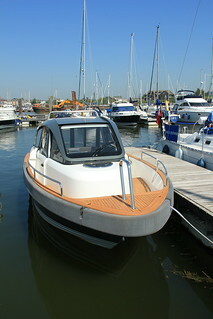 One of the biggest things that has been such a part of the Lady Jane lifestyle has been the rib, this has now been sold on eBay with the money destined for works on Arctic Rose. I must say parting with this is with a twinge of sadness as, ugly as it was let's face it, it had always been reliable and fun.